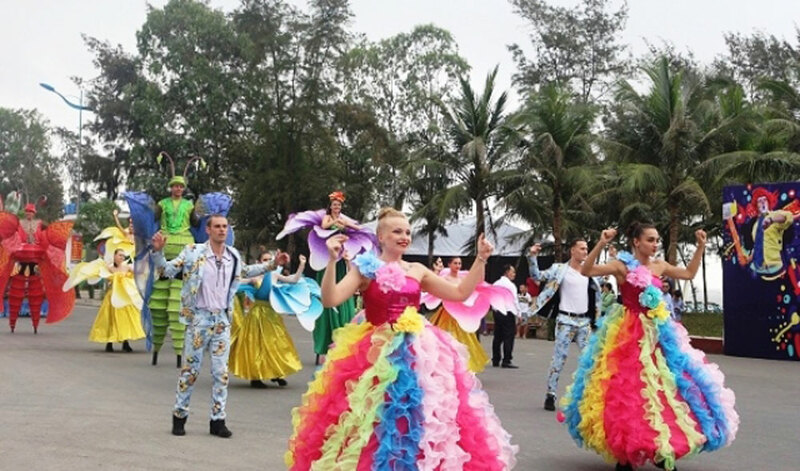 The 2019 Sam Son Sea Tourism Festival officially kick-started with a colourful opening ceremony in the central province of Thanh Hoa on April 13 evening, marking the beginning of a new tourism season in the coastal city of Sam Son. The opening-night stage was magnificently transformed into a precious pearl with brilliant colours from the sea. The story of Sam Son was recreated with dances, colours and music during the 90-minutes of an art programme, which featured the participation over 200 artists and actors, including a range of celebrities in Vietnamese showbiz. 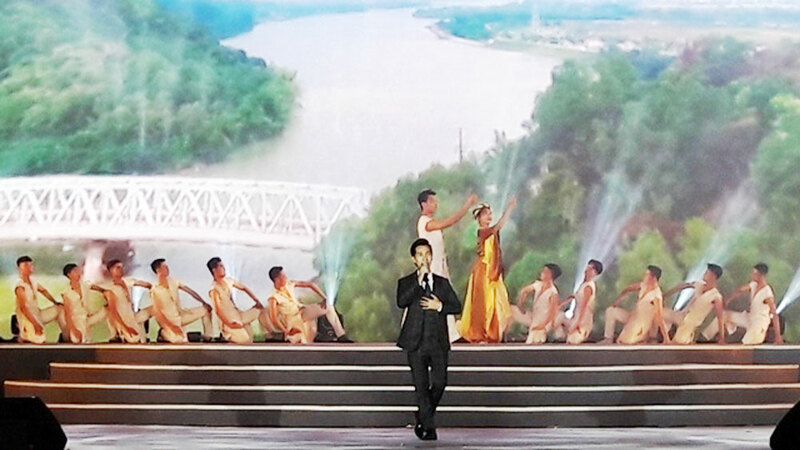 A performance on the opening night of the 2019 Sam Son Sea Tourism Festival. Videos advertising Sam Son’s tourism potential and strength were also screened, providing the audience with an overview of Sam Son’s development achievements. Earlier the same day, a street carnival took place along Sam Son’s coastal route from 9.30 to 11.30 in the morning and from 4 to 6 in the afternoon, entertaining locals and tourists with colourful flower carriages and dances by professional European artists. A colourful carnival creates an animated atmosphere on Sam Son streets. During the sea tourism year 2019, Sam Son strives to welcome more than 4.8 million tourists. Beach trips are favored by vacationers for the upcoming National Day holiday from September 1-3, according to travel firms. Vietnam has the most affordable beaches in the world, according to TravelBird, a Netherland-based travel company. US News lists Nha Trang and Phu Quoc as great seaside spots with white sandy beaches and clear blue waters. Travel firms in Ho Chi Minh City are offering a wide range of outbound and domestic tours including many new destinations with attractive promotions during the upcoming summer holiday.